The construction of the railway between Thailand and Burma in the Second World War using forced labour and prisoners of war has been the subject of numerous memoirs, novels and the famous Hollywood film The Bridge over the River Kwai. Yet documentation and primary sources offering an account of the railway from a Japanese, Allied, POW and post-war perspective are scarce. 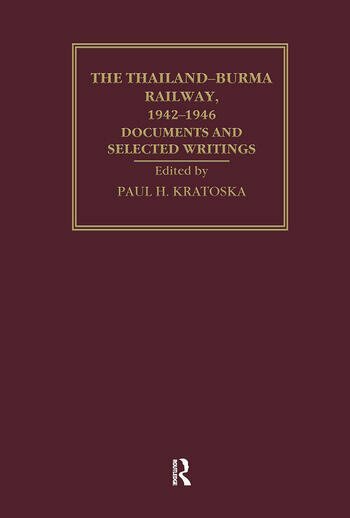 This six-volume collection uses documents from archives in Australia, Great Britain, India, Malaysia, the Netherlands, the United States, Myanmar, Thailand and Japan to present a complete picture of the reality of the 'death' railway.